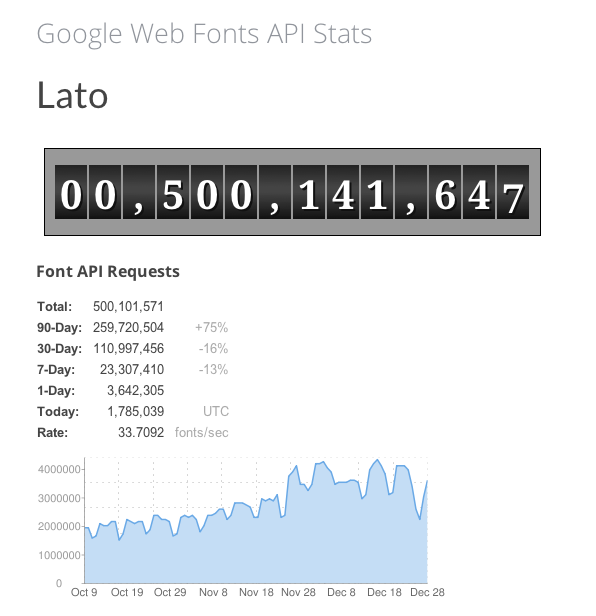 OK. After one year and few days Lato passed half a billion. Why Lato font on Google Web Fonts API doesn’t have Pol­ish characters? Lato has Pol­ish char­ac­ters (ą, ę, ł, Ł, Ń…), but in google chart there are not vis­i­ble. This com­ment uses fonts from google.